President Medvedev has made an unexpected appearance at Moscow’s Kiev Railway Station to personally check how the security systems on transport work following the deadly blast at Domodedovo Airport. The results of the inspection – which had not been scheduled in advance – were rather disappointing, as the president saw not a single policeman at the entrance to the rail terminal. Gateway metal detectors have not been installed either. And that is despite earlier orders to tighten security on all transport systems following the January terrorist attack at the airport, which claimed 36 lives. “Where are the police? How is the place controlled?” the president wondered, addressing the director of the terminal, cites Itar-Tass. Then Medvedev passed to a duty officer to ask where all the police were instead of patrolling the building, but got no clear answer. The situation with security on the platforms was exactly the same. While Medvedev was inspecting the terminal, its director was reporting to him on changes introduced recently to provide better security. Those include regular checks of the building and its basement by the Kiev Railway Terminal officers as well as police. However, that did not seem to impress Medvedev at all. “[The railway terminal] is part of transport infrastructure, same as the Metro and airports. 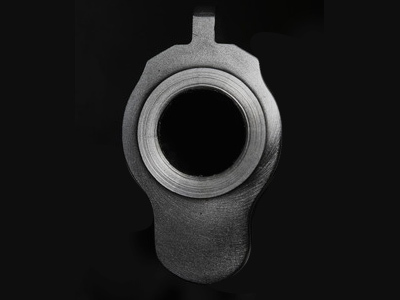 Everything must be done by tomorrow,” Medvedev demanded. The president also ordered Prosecutor General Yury Chaika to examine why the Russian Railways (RZhD) has ignored security instructions. Dmitry Medvedev showed up at one of the nine Moscow’s railroad terminals, accompanied by the heads of the Internal Ministry, Federal Security Service (FSB) and the Prosecutor General. Later in the day, a meeting at the Kremlin was held, where the president instructed the FSB chief, Aleksandr Bortnikov, to co-ordinate security on transport. “I would like you to analyze the situation in large transport terminals and provide methodological support,” he said. 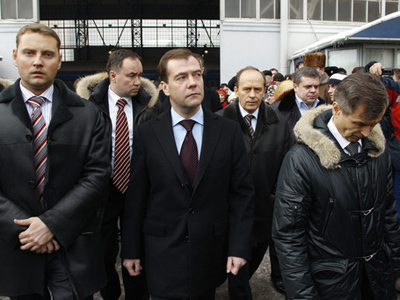 Medvedev noted that, along with other law enforcement agencies, FSB officers also work at railroad terminals. “They should not just stroll there and drink tea. They must work,” he added. 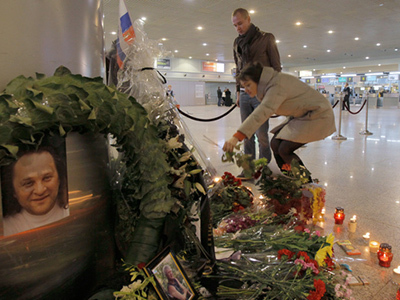 “Unfortunately, even the most tragic events do not teach us anything,” Medvedev said. Therefore, he went on, if heads of state departments are unable to apprehend information and make appropriate decisions, there will be no choice but to consider personnel reshuffling. He noted that some decisions on the matter will follow shortly. Medvedev stressed that he is determined to complete this work so that “every head of transport structure and bodies responsible for security on transport” would understand that providing safety is their responsibility. They should not shift responsibility from one another, he stressed. The head of state also demanded that a modern canine service should be created to work on transport. “Even though there are detectors and other devices for disclosure of explosives, nothing has so far replaced dogs,” Medvedev said. Two weeks earlier, the president visited Moscow’s central Okhotny Ryad Metro station to check how security systems worked there. The station was not closed for passengers and kept operating as usual. 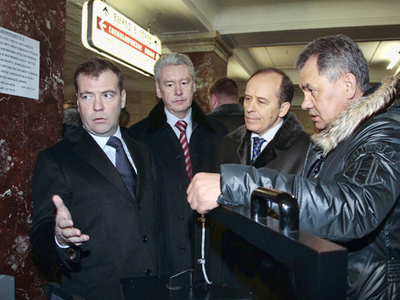 Medvedev was shown systems used for checking people and objects. The president ordered a security upgrade in March 2010 after the suicide bombing at two Metro stations.